Digital manufacturing company Carbon and the Ford Motor Company, which recently announced the opening of its new Advanced Manufacturing Center in Michigan, have revealed that they are expanding their existing collaboration, which began in 2015 around the time that Silicon Valley-based Carbon emerged from stealth mode with its innovative CLIP technology. The original partnership centered around materials research and using 3D printing for current and future vehicle design, and now the two companies will be working together to design and digitally manufacture several new durable, end-use automotive parts. “We are thrilled to be collaborating with Ford Motor Company and are excited about the many opportunities to leverage the power of digital manufacturing to deliver durable, end-use parts with similar – or better – properties as injection molded parts. The automotive industry shows significant promise for using digital fabrication at scale, and our work with Ford is a perfect example of the kind of innovation you can achieve when you design on the means of production,” said Dr. Joseph DeSimone, the CEO and Co-Founder of Carbon. This week, Carbon, which has worked in the automotive sector in the past, revealed for the first time some of the new 3D printed polymer parts it produced for Ford, which was recognized for its work in automotive 3D printing in the fall as a triple finalist in the Automotive Innovation Awards Competition, which is held by the Automotive Division of the Society of Plastics Engineers (SPE). Carbon used its robust 3D printers, proprietary Digital Light Synthesis (DLS) technology, and durable EPX (epoxy) 82 material to create several automotive parts, including HVAC (Heating, Ventilation and Cooling) Lever Arm Service Parts for the Ford Focus, Ford F-150 Raptor Auxiliary Plugs for a niche market, and Ford Mustang GT500 Electric Parking Brake Brackets. Together, Carbon and Ford jointly presented the new applications at the Additive Manufacturing for Automotive Workshop, which is part of the 2019 North American International Auto Show (NAIAS) held in Detroit this week. When it comes to materials, Carbon knows what it’s talking about – the company’s mission is to reinvent how we design, engineer, manufacture, and deliver polymer products. Its EPX 82 material, part of its epoxy resin family, was a perfect choice for 3D printing the new automotive parts. The components not only passed the rigorous performance standards set down by Ford for their selected applications, but they were also able to hold up well in terms of critical requirements, like fluid and chemical resistance, flammability (ISO 3795), short- and long-term heat exposures, interior weathering, UV stability, and fogging (SAEJ1756). 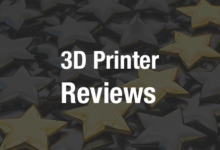 Carbon has been a major power player in the 3D printing field since it arrived on the scene. Now, through some of its more high-profile partnerships with companies such as Vitamix, Johnson & Johnson, adidas, and Ford, the company is moving past 3D printing and, in its own words, on “to full-scale digital manufacturing” by working with its customers to create high quality, well-made products across multiple industries.